We developed Kew Studio’s outreach programme and would be happy to hear from you if you have any queries about using the materials on this site. Kitty Lloyd-Lawrence BCA Facilitator and Co-ordinator, is a qualified graphic designer and art teacher. Her work as a painter/etcher and maker of artists’ books is held in private and some public collections in the UK and abroad. Having established community art groups in Ghana, the UK and Algeria, in 1980 she founded the Kew Studio; now a registered arts educational charity, offering space and workshops to artists of all ages and at all levels of experience. Building Community through Arts is the Studio’s outreach programme developed originally with clients from three sectors e.g. Richmond Social Services, schools and residential housing trusts sponsored by local and national business. Her MA research, at the University of Middlesex, was into creative community partnerships between business, education and social welfare organisations, drawing both on her experience of BCA and her then concurrent role as Coordinator of a business, government and voluntary sector partnership for employee volunteers in Westminster. You can reach her by filling in the contact form on this website. Hilda Flint was involved in setting up community projects in Kew and Richmond from 1960 for over 30 years. She was appointed as a magistrate for S.W. London in 1965, sitting on the Bench in Richmond until 1997. She helped to establish St. Luke’s Centre in The Avenue, Kew, and was its administrator from 1984 – 1990. She worked with BCA as a Facilitator since 1993, in various projects in residential homes and the wider community. She is a Lay Reader in the Church of England, and served as a volunteer Chaplaincy visitor with the Kingston and South West NHS Mental Health. In 2002 she completed her London University MA in Philosophy and Religion. Her dissertation was on Spirituality and Dementia. Since leaving Richmond she now lives on Dartmoor, and as a C of E Reader is attached to the Moretonhampstead Benefice. 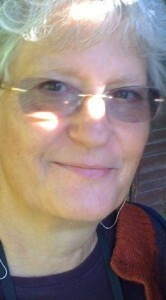 Jill Anderson BCA Consultant, was training team members and supervising BCA projects from 1996 – 2007. She introduced Co-operative Inquiry into the structure, a process originated by John Heron, with whom she worked over a number of years. She is a founder member of Facilitator Development Associates. Having been involved with and led the Facilitation courses at the University of Surrey and having helped to pioneer self and peer assessment and accreditation, she is now developing advanced courses in facilitation, group work and personal growth. She has a counselling practice in Sheen, Richmond. Rebecca Butler was first involved with BCA as a pupil at Grey Court School, Richmond at the age of 12. As a wheelchair user, she was so taken with the inclusive and enquiry-based nature of the work that she asked for a volunteer training to be developed and attended this along with a Baptist minister, teachers, community workers etc. She worked on a series of BCA programmes, developing a creative writing workshop, published articles regularly in the newspaper DisAbility Times wehre she had her own column. In 2001 she alongside another BCA volunteer devised an inclusive programme for young people, both able and disabled, called ‘Views Re-fused.’ In 2014 she completed her doctorate in education with her dissertation on ‘Motor impairment in children’s literature: perceptions and pedagogy.’ Her study was of two texts in use in main primary schools where she prepared guidance notes for teachers to talk to the children about the images of wheelchair use in those texts and used their responses to make recommendations about the ways motor impairment could be taught and discussed in the primary classroom. She serves on the board of IBBY the International Board on Books for Young People. Her paper for the IBBY Conference 2014 was on inclusion and belonging. She reviews children’s books for the magazine Books for Keeps, the leading children’s non-academic literature periodical in the UK, read internationally. Taru Kapadia, a qualified architect, came to England from India in 1978 to join her husband. She practiced in London until her first son was born, and then as a part time librarian in Richmond until after 1984 when her second son, Rohan, turned two. Over the following 15 years she suffered various health problems, fighting off breast cancer in the late 1980s and early 2000s. At the hospital, for treatment for breast cancer, they recommended art and somehow she found us, ‘Building Community through Arts’ (BCA), running a series of workshops at St. Luke’s in the Avenue, Kew. Joining the team she worked in a number of BCA projects, bringing together volunteers from schools and businesses to build community and release the creativity of all involved, giving participants’ lives and work renewed inspiration and meaning. Amongst a variety of projects, Hilda Flint and Taru worked together on a pilot project for elderly people, some with dementia, at the Amyand Centre in Twickenham. Taru worked hard to develop with us the BCA approach or ‘the BCA Way’ as she called it. She loved the sayings which guided us: especially the artist Frederick Franck’s saying: ‘for all that is human we have in common’ and Picasso’s observation: ‘Every child is an artist; the problem is how to remain one once we are grown up.’ As a trained architect, Taru knew with Coomeraswamy, that ‘Artists are not special kinds of people – every person is a special kind of artist.’ The BCA team she joined was inter-disciplinary and very diverse in age, gender, race, religion, background and professional discipline. Together we learned the truth of saying ‘for all that is human we have in common and from all that divides us we may learn and grow!’ In our regular team meetings we shared what was happening in our lives and what we were learning. We became something of a family to each other. Taru partnered her second son Rohan in successfully running the Twice Times Nursery School in Fulham, where her love of education, music and art were given expression and she worked tirelessly with other people’s children in the Nursery School. Education, in its widest sense of drawing people out, was always at the heart of Taru’s vision. Highly educated herself, she wanted to share the possibilities with others, working always to include. With Tagore she felt: “The highest education is that which does not merely give us information but makes our life in harmony with existence.” With all her work in recent years in the school with Rohan, she still found time to stay involved with the BCA team, who were busy documenting all the work carried out since 1993, and preparing it for presentation on the web so that it can ripple out into the community. In 2015 Taru and Kitty were planning a new small pilot group in Kew, working with the Chair of Kew Studio, Ann Kirkbride, a retired GP, very interested in the healing power of the arts. We were exploring the idea of art as a spiritual practice…Sadly, Taru died in March. By putting the BCA resources we have together gathered over the years on the web, we hope to inspire, encourage and enable others. We had been looking forward to celebrating with Taru when our work was completely on the web. Dr. Sidney Jones studied psychology and adult education. Formerly head of the school of education at what is now the University of North London, he went on to become a consultant and visiting lecturer at the University of London and a visiting fellow at City University. His research includes the benefits of education for older people, a field in which he was awarded his PhD. A chartered psychologist he lectured regularly at seminars for BBC staff. Anthony Sadler MA CIPM worked as an independent personnel consultant, following 30 years’ experience as an executive in industry and commerce. He was for nine years personnel director of international insurance brokers Minet plc, and was a Companion of the Institute of Personnel Management. He was lay chairman of the South London Industrial Mission and currently chairs the Centenary Appeal Committee of Welcare, the service for mothers and children in the Diocese of Southwark. He has had significant involvement with his local community. As churchwarden he played a leading role in a developmental project to establish a community centre which shares the church building and houses a day centre for the retired. Frances Neale MA holds an English degree from Edinburgh University and a Diploma in Photography. She has combined more than 20 years in management publishing, magazine editing and freelance journalism with work for organisations such as UNESCO, Management Consultants OIRC Inc and the Institute of Personnel Managers in London. She is also a professional photographer.